The government's decision to do away with input tax credit (ITC) for Goods and Services Tax (GST) levied on housing could increase the scope of using black money in the real estate sector. However, experts have different views on the extent of the impact, as the government is working on mitigating such risks. 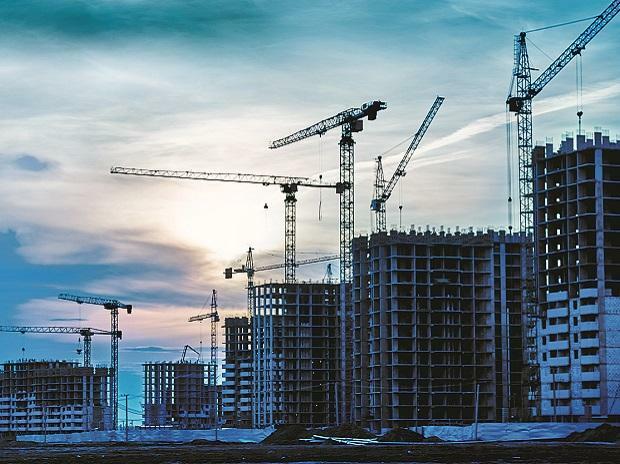 Last month, the GST Council slashed the GST rate on under-construction houses to five per cent, against the current 12 per cent for flats priced at over Rs 45 lakh. The GST rate on affordable housing was also cut to 1 per cent from the existing eight per cent. Further, builders will not be able to claim input tax credit (ITC) in both cases. ITC is the credit available for all taxes paid on inputs across the value-chain to make production transparent and efficient as well as create audit trails to curb tax evasion. "In the absence of ITC, the trail of invoicing will not be available. This may have opened up the scope of employing black money in the sector again," says Pankaj Kapoor, Managing Director at property consulting firm Liases Foras. Real estate contributed about 6-7 per cent to India's gross domestic product (GDP) in 2017. According to a 2018 KPMG report, the sector is expected to contribute about 13 per cent to the GDP by 2025 and the industry is seen becoming the third largest globally at around $1 trillion by 2030. The sector was worth $120 billion in 2017. Along with the Real Estate (Regulation and Development) Act, 2016 (RERA), the GST regime was bringing transparency into a sector that was used to operating in an opaque environment, says Pankaj Kapoor. Under GST, builders had an incentive to file invoices for the purchase of construction materials and inputs to claim ITC and their complete transaction trail could be monitored as a result, he explains. These inter-linkages, according to him, ensured that the builder's cash flow and work flow were transparent. Employing black money in the sector had become difficult and any under-invoicing on the part of the builder could be uncovered, he adds. "By setting in place this data-driven system where everything is measurable, GST would have weaned real estate off of black money over time," says Kapoor. Further, according to him, it had also become difficult for builders to accept black money from buyers. "That chain has been broken after Sunday's announcements. Earlier, there was a linkage between the builder's revenue and cost. However, these have been disassociated now," says Kapoor. With the absence of ITC some builders might find that the incentive to file invoices has reduced. Instead, there could be an incentive to buy construction material or land in cash. This would be cheaper for builders as they can escape paying GST on these inputs. In turn, this opens a window for the deployment of black money to make the said purchases. "As input tax credit is removed, some unscrupulous developers may resort to cash payments for items with high GST and replace them with invoices for lower GST or zero-GST items. Invoice matching and input tax credit was an effective way to cull this practice. But with this change, risk increases of misreporting GST," explains Ankur Dhawan, chief investment officer at PropTiger. Anuj Puri, the chairman of ANAROCK Property Consultants, believes that the scope of bringing black money back into the system is limited. "There is a possibility that certain builders will try and skip paying GST by making payments for input materials through cash. This could technically increase the scope of black money in the market. However, given the tightening regulatory environment and speedier identification of instances of tax evasion, the results of such efforts will be interesting to observe. There is a cap on cash transactions and most often, even the vendors who have to match up their bills refuse to take major cash components, as they would later be answerable if wrongdoings come to light," explains Puri. "This new rule will not lead to a massive influx of black money into the sector," Puri adds. The GST council's suggestion to mandate a procurement cap of around 80 per cent of input from GST-registered suppliers may just plug the loophole. But, Kapoor, for his part, says that since real estate and construction are very local subjects, it would be difficult to monitor use and purchase of inputs -- like sand, bricks, piping, and electricals, etc -- at such a micro level. He also argues that while cement and steel make up for around 40 per cent of the cost of a project, the rest is made up of inputs that are sourced from local vendors.